Part of the fruit papaya most benefit is papaya leaf itself. Some of the benefits of papaya leaves you should know them. 1. Useful as a healer penyalit dengue fever. How to use papaya leaves as dengue fever medicine is to boil 5 papaya leaves or in moderation then boiled in 3 cups of water until the remaining 1 cup only. We recommend that you do not overdo the eating papaya unless already in an alarming stage. 2. Useful as menstrual pain reducer. When menstrual pain was very disturbing as well as its use is. The trick, 1 papaya leaves, tamarind, salt to taste and water are mixed and boiled until cooked. For better efficacy should drink while warm. 3. Beneficial to the smooth digestion. The content in the leaves of papaya called karpain very good for our digestive tract because karpainlah which helps kill microorganisms that interfere in our digestion. 4. Serves as an anti-acne mask. How to use it first must be dried papaya leaves dilumatkandan then mixed with water and then rubbed into the face as well as the mask on umummnya. 5. Useful melunatkan meat. If you want to cook the meat should use papaya flesh becomes tender and tasty when chewed. The trick, crushed papaya leaves were still wet and mix into the meat that has been sliced ​​-iris, but not too much because of the bitter taste of papaya can make memjadi meat is not good to eat. 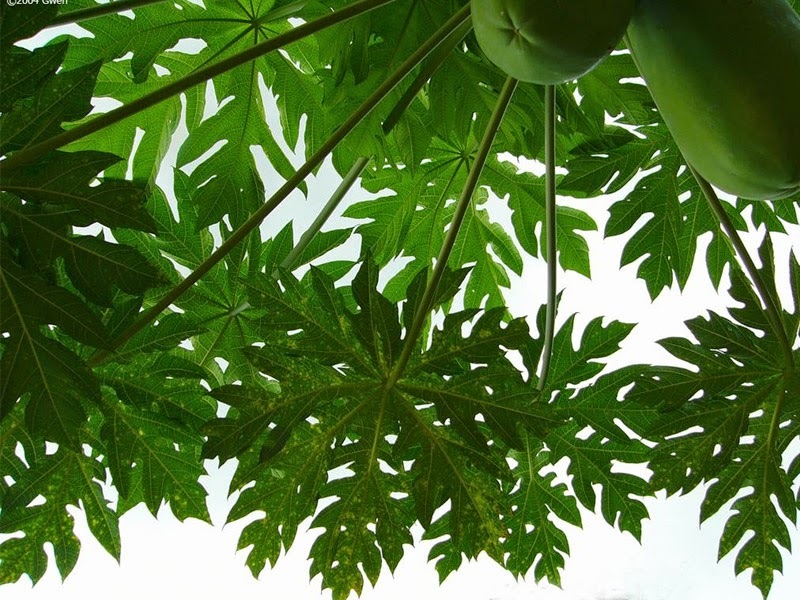 0 Response to "Papaya Leaf Efficacy for Health"